This magnificent creature is Zhenyuanlong, a genus of dinosaur related to the velociraptor. 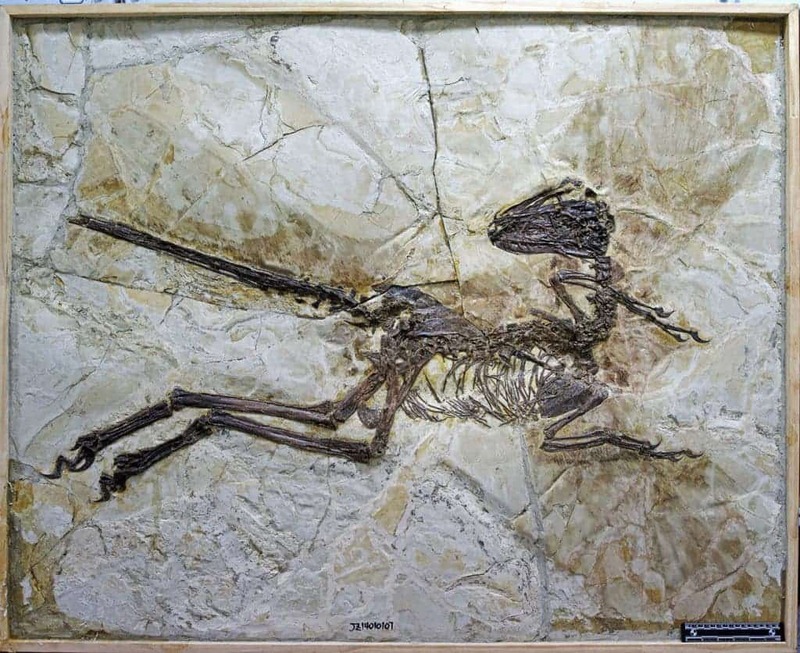 Living approximately 125 million years ago, this specimen left behind a stunning fossil, with a nearly complete skeleton that contains traces of feathers, including long tail feathers and large wings. Yes, this animal had feathers, just like the velociraptor did – so write-off that image that Jurassic Park left, and reimagine it. While poorly preserved, these feathers appear to contain small, simple filaments less than a millimeter thick and up to 30 millimeters long.